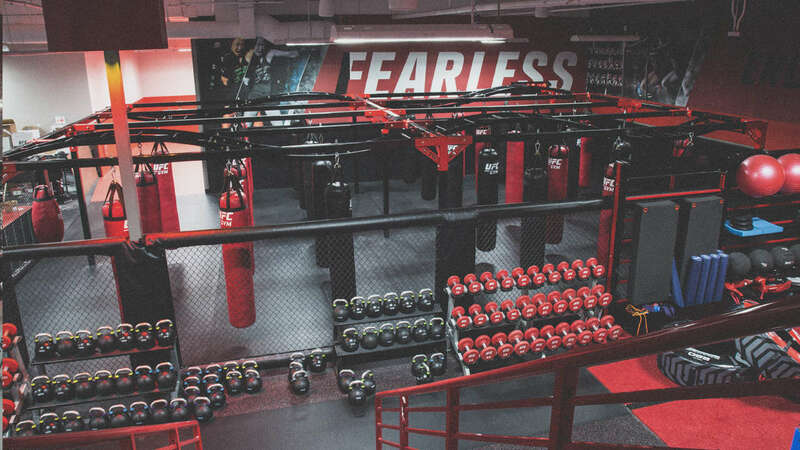 UFC GYM Huntington Beach, located on the corner of Warner Ave and Beach Blvd, behind the Charter Centre Cinemas, offers classes for every fitness level. Whatever your fitness goals are: lose weight, increase strength, sports conditioning, we have daily classes including boxing, kickboxing, functional training, youth programs, Brazilian Jiu-Jitsu & personal training to help you reach those goals. Signature clubs also include group training classes like Yoga, Zumba, Cycling; have a full café, the Armbar, with all the nutrition & supplements you’ll need to maintain your fitness gains.